It is Ordered, That John Sertcher, Servant to Sir Anthony Wyngfelde, Knight of the Shire of Suffolk, shall have a Writ of Privilege. L. 1. The Bill for Restitution of Henry Weston. L. 1. The Restitution for Mr. Francis Carewe. L. 1. The Bill of Restitution of John Charleton. L. 1. 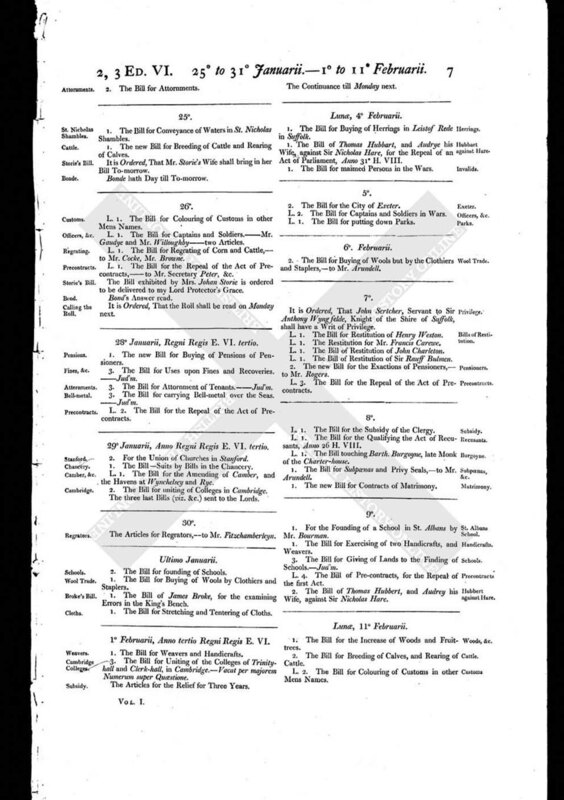 The Bill of Restitution of Sir Rauff Bulmen. 2. The new Bill for the Exactions of Pensioners, - to Mr. Rogers. L. 3. The Bill for the Repeal of the Act of Precontracts.